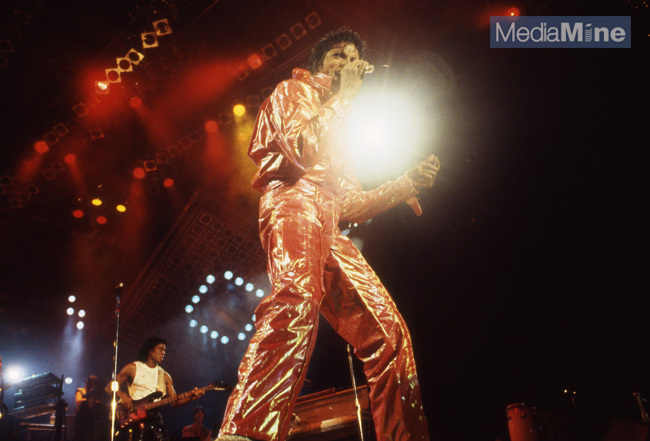 Michael Jackson would have turned 58 today and his fans are always on the lookout for new images of the King of Pop. Luckily MediaMine’s collection has some never before seen gems waiting to be revealed. MediaMine’s library includes a rare collection of over 10,000 images of Michael and his family through the years. From the 1984 Victory tour, to personal pictures from the Jackson family, to behind the scenes peeks into life with the Jackson 5, the collection is sure to please any Michael Jackson fan. Michael struck out on his own in 1971. But it was his fifth solo album, 1979’s “Off the Wall,” that reinforced Jackson’s talents. The album saw four singles peak in the Top 10 of the Billboard Hot 100. The eight-times platinum album has sold over 20 million copies worldwide. But those achievements were soon overshadowed when the King of Pop released “Thriller” in 1982. Featuring songs like “Billie Jean” and “Beat It,” the record still holds the coveted position of being the best selling album of all time and has gone 32 times multi-platinum. To ice the cake, “Thriller” won a record-breaking eight Grammys in 1984 including Album of the Year. While Jackson continued to enjoy success over throughout the ‘90s and ‘00s, he became more reclusive. So fans were ecstatic when he announced plays for a 50-date London residency in 2009. Sadly, the shows never came to be and Jackson died on June 25 of that year from cardiac arrest induced by propofol and benzodiazepine intoxication. 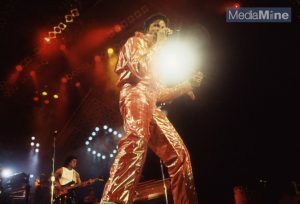 Visit MediaMine’s library to see our rare Michael Jackson family and Victory tour photos. And check out the media from Michael’s official Hollywood Walk of Fame Star ceremony.